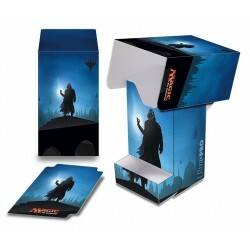 Deck Box with Tray Il y a 11 produits. The fifth generation of our Magic: The Gathering Mana Deck Boxes feature iconic artwork by John Avon. 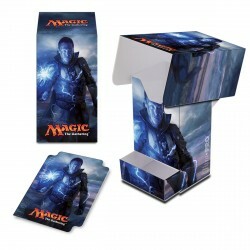 Vertical, top loading Deck Box with full flap cover and Tray. 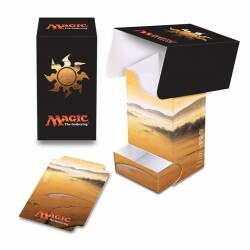 Holds 80 cards in Deck Protectors sleeves. 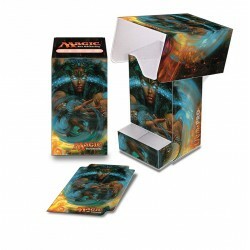 Tray holds dice, tokens & other accessories. 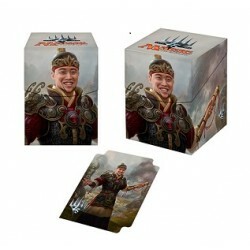 Includes 1 matching divider. Acid free, durable polypropylene material. 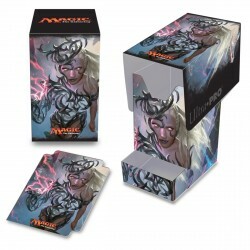 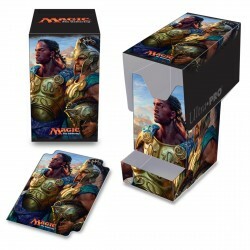 Store and protect your favorite deck with this Magic: The Gathering PRO-100+ Deck Box, sized to fit 100 standard size (2.5" x 3.5") gaming cards double sleeved in Ultra PRO Deck Protector sleeves.